Many people must have a license in order to work in their chosen career field. Doctors, therapists, pharmacists, veterinarians, dentists, architects, real estate professionals and even barbers need to be licensed to practice. Professional engineers—who are responsible for creating buildings, bridges and other structures that the public uses every day—also are required to be licensed. However, professional engineers are facing an uphill battle, with local and state boards taking steps to devalue engineering licenses or eliminate them altogether. But why? Why would the state decide to eliminate licensure for an occupation that requires a significant amount of safety and adherence to the best interests of the public? There are two main reasons. First, many states are trying to do away with the licensing requirement. They want to go around it because maybe they do not feel it is necessary. After all, engineers are not doctors. It’s not like they are dealing with life or death situations, right? That’s not entirely true. With every engineering project, there needs to be a focus on the human component. The public’s interests must always be put first, according to the National Society of Professional Engineers. When engineers engage in immoral behavior in order to complete a project or make more money, they can face disciplinary action. The second reason why the professional engineering license is being targeted is because many states want to qualify those with less education to do the same jobs as engineers. Engineers have a lot to go through in order to become licensed. They must obtain a bachelor’s degree, which typically takes four years to complete. They must then pass the Fundamentals of Engineering (FE) exam. The next step is to gain four years of experience in the engineering field. Finally, they must pass the Principles and Practice of Engineering (PE) exam. The entire process can take at least eight years to complete. However, some states want to cut corners and get rid of these requirements to make the hiring process easier for many jobs. Many engineers are not licensed, or companies do not feel that a full-fledged engineer is required for certain positions. This can complicate the hiring process for many local and state governments. While there are two reasons why agencies want to eliminate engineer licensure, there are also two good reasons why licensing should be kept in place. The first is ethics. Professional engineers have to make good decisions based on engineering standards and science. These decisions must benefit the public’s health, safety and welfare. Second, engineers are licensed at the state level. They must adhere to a strict code of conduct or else face disciplinary actions, which could include civil penalties, fines, warnings, license suspension and revocation. When creating a building, the public’s best interests should always be first. The National Society of Professional Engineers makes this clear. Therefore, devaluing an engineering license or getting rid of the licensing requirement altogether puts the safety of the public at risk. Creating unsafe structures is unethical and can lead to discipline for engineers. They may receive written warnings or have their professional engineering license suspended or revoked. If you are in this situation, The Law Offices of David P. Rankin, P.A. can help. 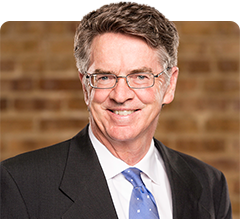 David P. Rankin has three decades of experience providing aggressive representation for engineers and other licensed professionals. He has represented more than one hundred professional engineers before the Florida Board of Professional Engineers. Learn about your legal options by calling his office at (813) 968-6633 or filling out the online form.